You might think that the modern sounds of drum & bass are not the territory of Exposé writers, that there is no cross-reference point. Shouldn't we put head into the sand simply to ignore whatever appears with a programmed rhythm track spurring away at the speed of light? Part of the tenet is how to harness technology by merging high tech with a muse of texture and deceptive motive. 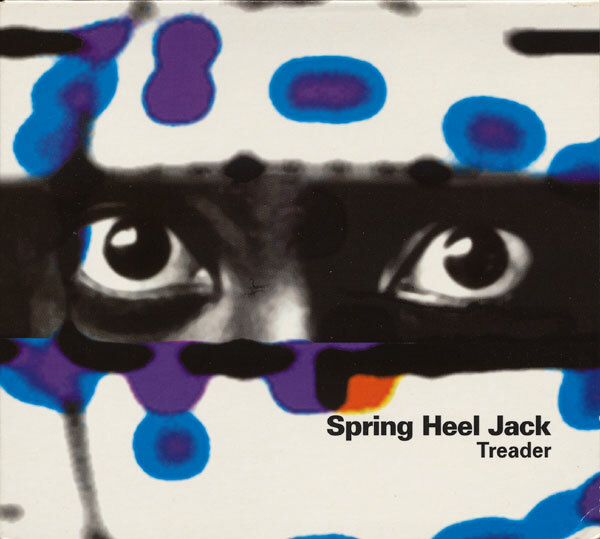 Spring Heel Jack is the composite of two innovative Englishmen, John Coxon and Ashley Wales, who have hung out with the likes of Bill Laswell, Tortoise, and Thurston Moore (Sonic Youth). In these varying dalliances between disco grooves and the far right they have managed to create their own niche. Their shtick is how to maneuver between extremes and generate excitement while keeping adventure intact. Pieces of note include the title track, which walks the line between Kraftwerk and a low-end massive attack. Track two, "Winter," utilizes a raunchy trumpet melody which is backed by an infectious groove. By the close of the track, the tone has shifted to a watery swirl of mystery. "1st Piece for La Monte Young" is the duo's chance to push the ambient envelope by abandoning meter altogether and diverting focus to an impenetrable mood. And don't forget the two obtuse bonus tracks, "My Favorite Things" and "Climb Every Mountain," which verge on light comedy. While Spring Heel Jack have nothing in common with symphonic prog, they do capture the imagination of a modern approach worthy of further investigation.